Nutritional trends sometimes bear strange fruit. Some years ago, gluten-free foodstuffs were only to be found on sale in health-food stores. Today, however, gluten-free products ranging from dog biscuits to pasta fill entire shelves in supermarkets. According to the principle that “paradise is gluten-free”, there is even an initiative for a gluten-free island to be declared where coeliac patients would be able to spend a carefree holiday. The market is enormous. According to a Mintel study, the demand for gluten-free foodstuffs and beverages grew by 63% between 2012 and 2014¹. The global information company NPD Group states that 30% of US adults claimed to cut down on or avoid gluten completely in 2013². 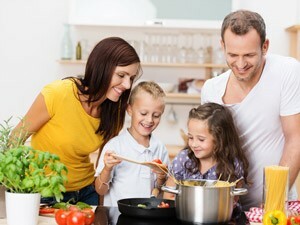 The reasons for the boom do not just include celebrities such as Hollywood star Gwyneth Paltrow or tennis star Novak Djokovic who rave about gluten-free nutrition as the receipt for success, or scientifically disputed best-sellers such as “Wheat Belly” and “Grain Brain: The Surprising Truth about Wheat, Carbs, and Sugar – Your Brain’s Silent”, but also the fact that the foodstuffs taste very good and are even attractive to people who do not suffer from any intolerance. «Thanks to great results in product development by pasta manufacturers and the right processing technology, gluten-free pasta is now as good as traditional pasta», says Marco Loschi, Product Manager Pasta & Noodles at Bühler. In the meantime, the Italian pasta producer Molino Andriani has based its success on producing exclusively gluten-free pasta. «We use a simple approach when it comes to marketing our rice or maize pasta», says Felice Andriani, «we simply get people to give it a try, and all of them are thrilled». A clear case of word-of-mouth advertising. But why is the pasta from Andriani in particular so tasty and toothsome? 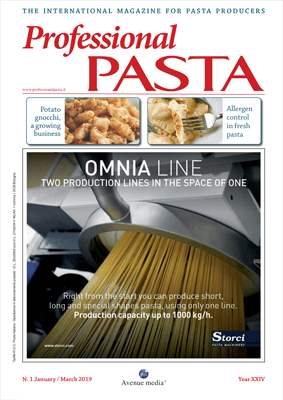 «It’s down to the patented Bühler process for gluten-free pasta», explains Felice Andriani. «We could only achieve this top-end taste and quality with technology from Bühler». Bühler has been offering the complete process line along the value-added chain for ten years now, from grain kernels through to packable, gluten-free pasta. Originally, Bühler introduced the PolymatikTM pasta press not only to produce gluten-free pasta but also to offer a process for alternative grains in areas where wheat is in short supply. «However, during the past few years the sales figures rose disproportionately», says Andreas Kratzer, Head of Business Unit Pasta & Noodles. «It was fortunate for Bühler that we already had an industrially established solution up our sleeve just when this trend started to take off». In principle, the Bühler process functions with all gluten-free flours. However, maize and rice are the most frequently processed raw materials. Many manufacturers mix in quinoa, lentil or soy flours because of their good nutritional values. 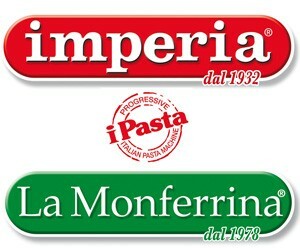 It is possible to produce all forms of pasta, from short goods (e.g. penne) to long goods (e.g. spaghetti). The greatest challenge when manufacturing gluten-free pasta concerns the bite. As with bread, normally the gluten, as the dough framework, gives pasta its stability of shape. 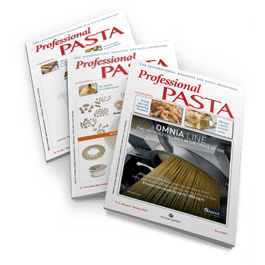 Examining the microscopic structure of traditional pasta reveals that the gluten forms a firm scaffolding, which is insoluble in water, around the starch grains. 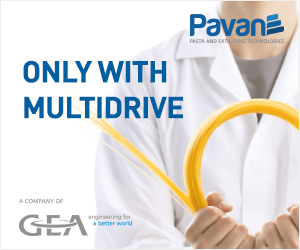 During the manufacturing process, conventional pasta dough is not allowed to reach a temperature of more than 55 °C. This is the only way to keep the proteins and the starch largely intact. At home, the gelatinization of the starch within the gluten framework occurs in the pan, thereby perfecting the typical pasta dish. Without this gluten, there is no network within which the starch grains can be embedded – and thus there is no bite either. 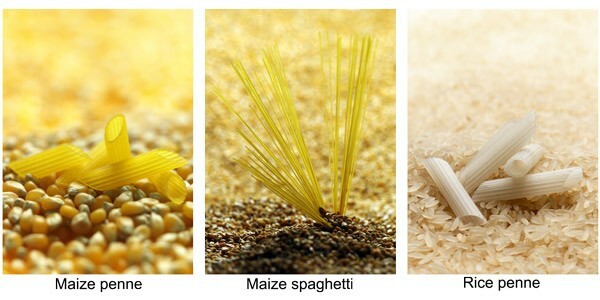 In gluten-free pasta, the starch from the gluten-free raw materials itself replaces the gluten. This technological challenge is overcome by the innovation from Bühler, the PolymatikTM pasta press. The gluten-free raw materials are mixed with water and hot steam in the press, kneaded and gelatinized. A binding structure, the starch gel, is created and corresponds to the structure in traditional pasta. In this way, gluten-free pasta develops its bite. It is made resistant to boiling and remains “al dente”.